Max J, editor of the German news site AllAboutSamsung, has written what is our best leaked look than on the upcoming Galaxy S10 and S10 Plus. The pictures were published earlier today and put more emphasis on several rumors about the new flagships. The phones have Infinity O screens – that is, an AMOLED panel with cutout or a hole for the front camera – and triple rear cameras, which have been speculated, as well as USB-C connector and a headphone port. They are shown here in silver and black. Given the lack of a visible fingerprint sensor, these devices can also use on-screen scanning technology. The images are consistent with the style of the previous renders from @OnLeaks, who also approved these images in a tweet earlier today as well as a bus photo leak last week. The phones are said to be prototypes and may look quite different at the start. Especially Max said that the bootloader logo could change, the final release will come. 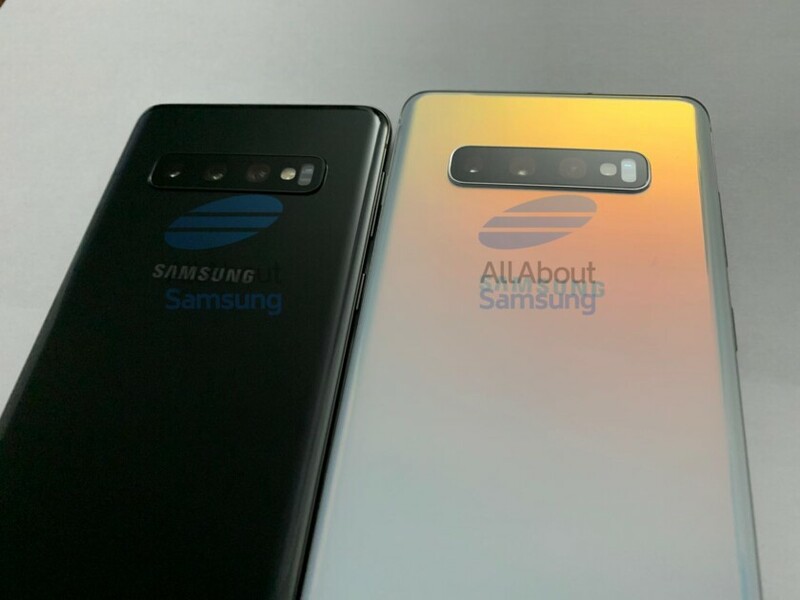 Nevertheless, there is a great chance that the Galaxy S10 and S10 Plus look very much like the phones in these pictures when Samsung reveals them on February 20th. Check out the rest of the photos on AllAboutSamsung and find out everything else we have heard of their specs on our dedicated Galaxy S10 rumors page. Let me know what you think about how the phones form in the comments.